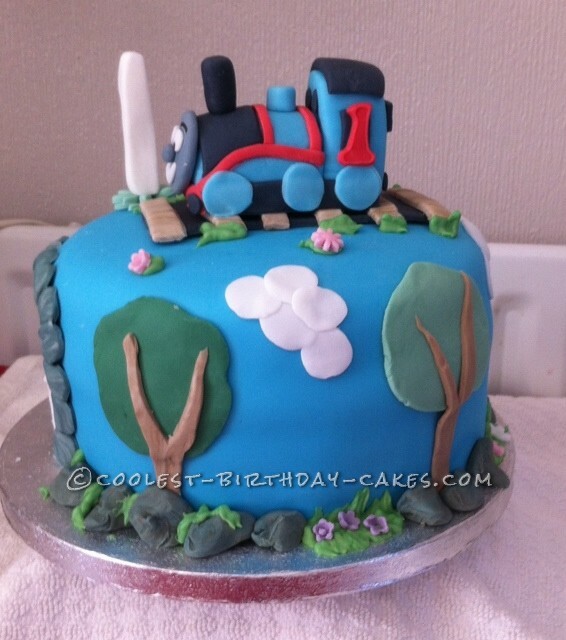 A friend of mine asked me to make a cake for her grandson who loves Thomas the tank engine. This is how I started to make it. 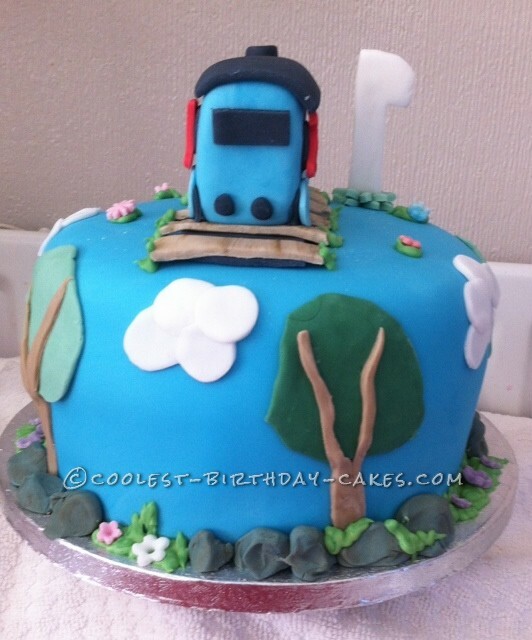 I made the engine out of blue icing, 1/2 flower paste, 1/2 fondant, this is so it is easy to model and it hardens too. I did some of the finishing touches out of a little red, grey and black icing to finish the engine and I set it aside. I made the track to sit the train on and attached using a little edible glue. This was set aside to harden. I then made a number 1 to attach to the cake when finished. Just before the birthday I made a vanilla sponge 3 layer cake and when cold I filled with butter cream and jam and then covered in butter cream before placing in the freezer to chill. I rolled out some blue fondant and covered the whole cake. 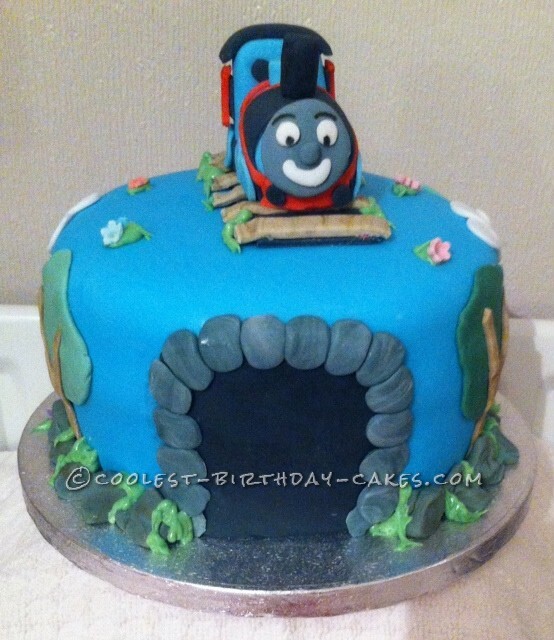 I smoothed the top of the cake to allow the train to sit flat on the top of it. I then left it for a few hours to harden slightly. I started by making the tunnel in black and then attached the bricks around it. This was to be the front of the cake. I then made the green on the trees, then the trunk of the trees and attached to the cake. 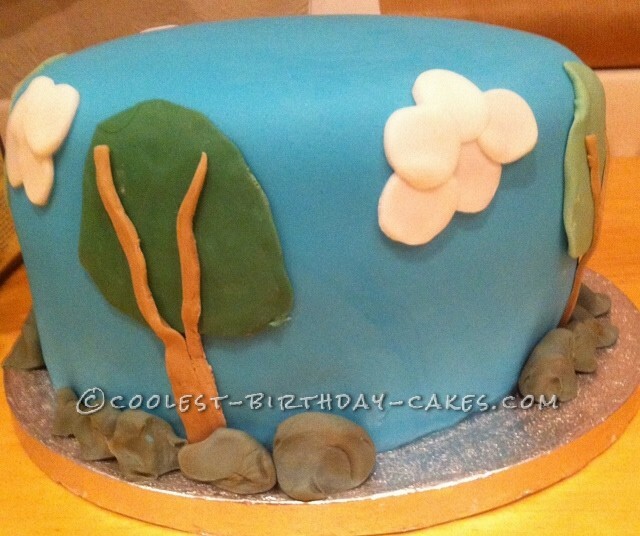 I then cut out white circles and placed on the cake overlapping them to make the clouds. 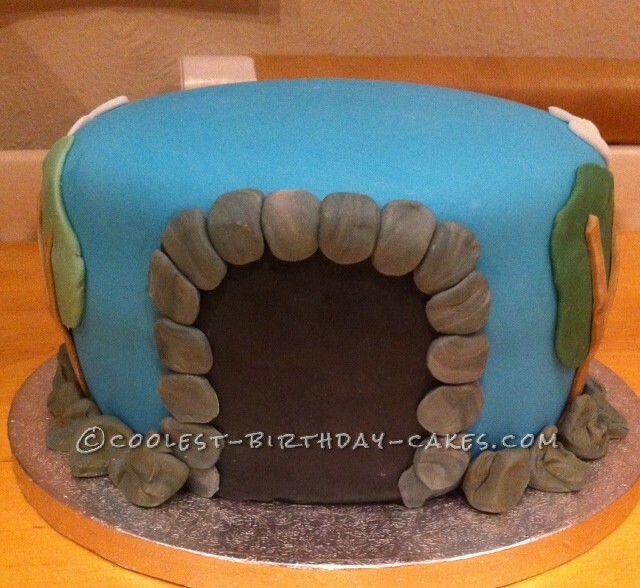 I made the stones for the edge of the cake and attached using a little edible glue. I mixed some royal icing in green and piped the grass between the rocks and around the track and a few bits on top of the cake and randomly attached a few flowers. 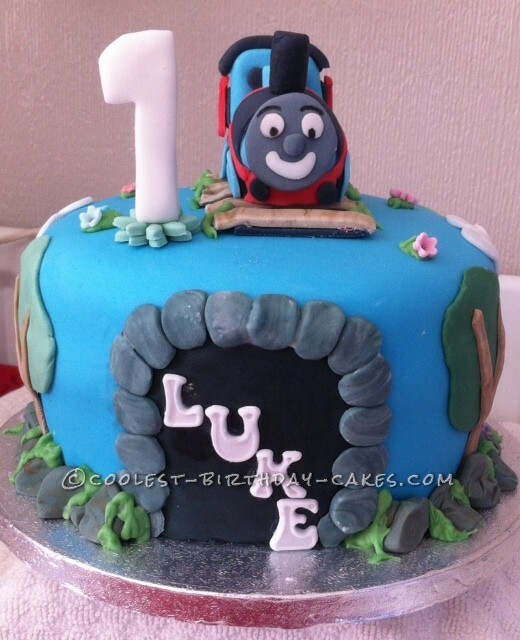 I attached the name Luke to the tunnel and the the number one I made earlier. The cake was now finished. My friend loved it. And so did I.